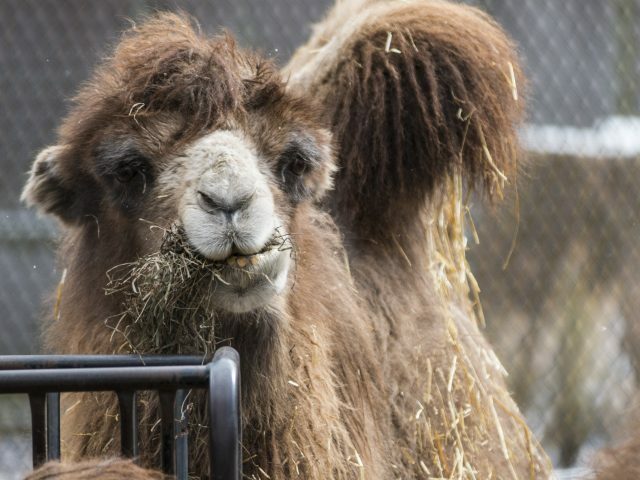 The Bactarian camel has a thick, shaggy beige coat that provides warmth in the cold months, and during the warming, the coat falls away in large chunks to help cool the animal. To protect them from the sand and harsh conditions they live in, they have bushy eyebrows, a double row of long eyelashes, hair inside the ear, and they can tightly close their nostrils and lips to keep out flying sand. They are even-toed ungulates with wide, padded feet and calloused knees. 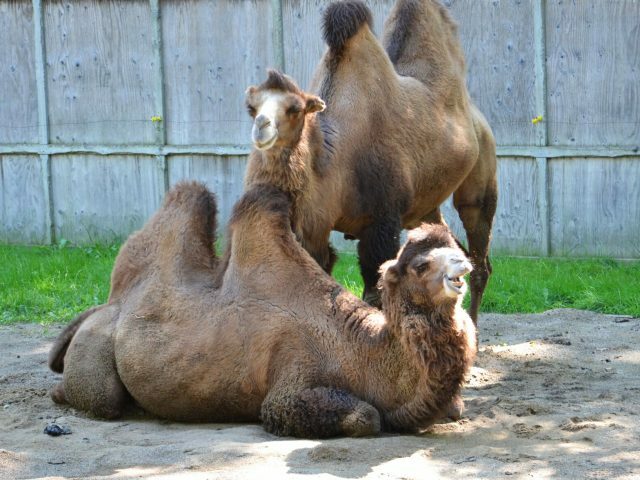 Both male and female Bactrian camels have two large humps on their backs. Bactrian camels travel the deserts in caravans of 6 to 20 individuals. The groups will be composed of adolescent males, females and their young, and are lead by a single adult male. 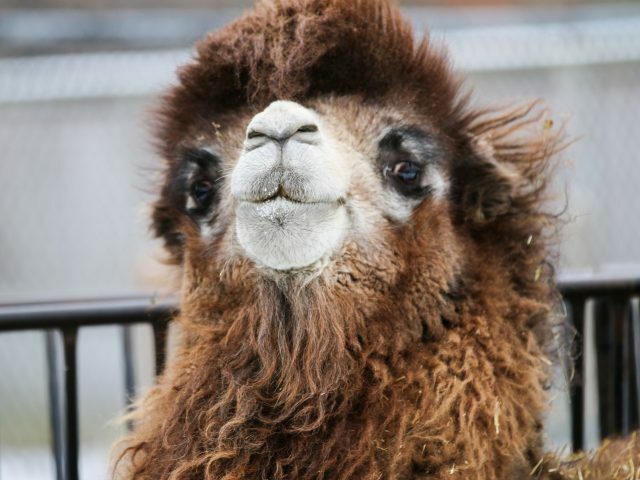 Bactrian camels rarely sweat, which helps them conserve fluids for long periods of time. Bactrian camels move slowly, but can reach up 40mph when they need to. 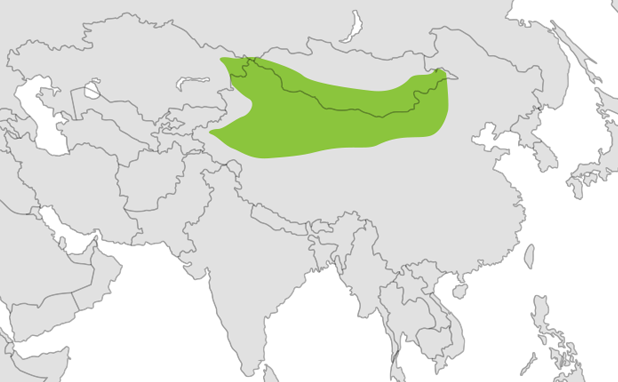 The Bactrian camel survives in a region where temperatures range over 100°F (38°C) in the summer to –20°F (-29°C) in the winter. The camel’s humps do not store water; they store rich fat reserves for the camel to metabolize when food is scarce. 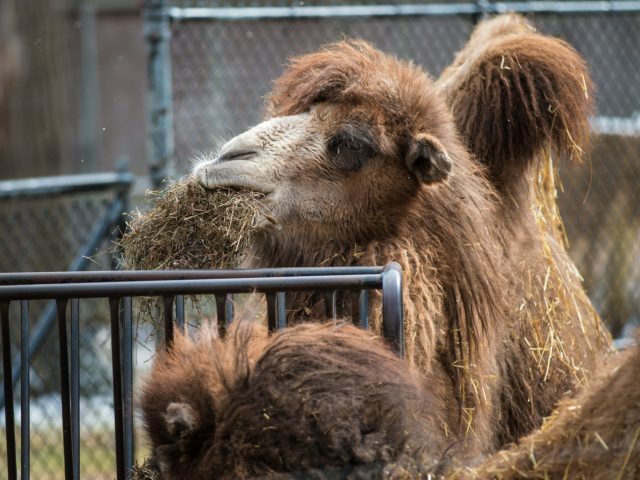 Bactrian camels can go months without drinking, but they can consume up to 30 gallons of water at once! 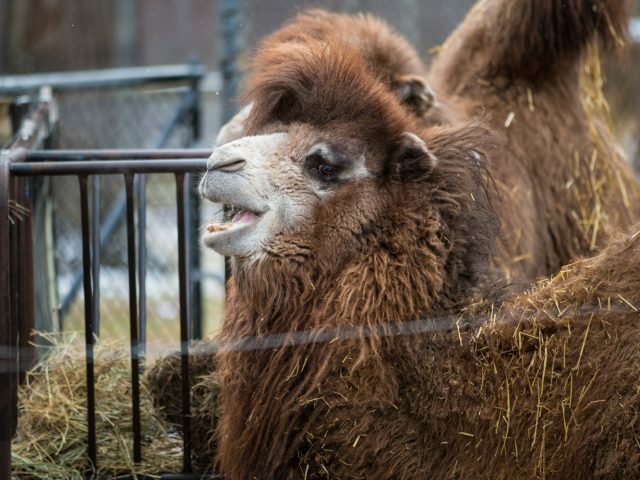 We have two Bactrian camels at Potter Park Zoo. McKenzie is our female and Ernest is our male. 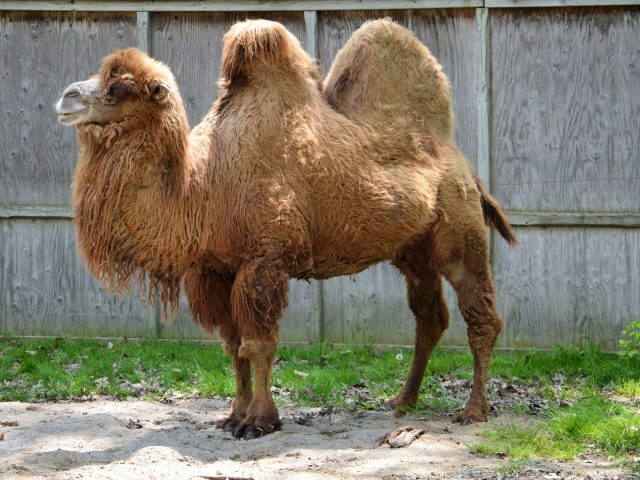 These camels can stand 7 feet tall, and weigh up to 1500 pounds! They are herbivores (grass, leaves and grain) that prefer vegetation that is prickly, dry, salty, and/or bitter.